Get more clear on what your brand is than EVER before! You'll discover your messaging, dig deeper into your niche and get the necessary visual components to a custom authentic brand! Here you're booking your Brainstorm + Breakthrough Session, and your *Next Steps* will be included in the attached form immediately after purchase! This session is to both answer any questions your may have about the Phoenix Rising TM Program and to determine if you're a good match with this process. The program is specifically for entrepreneurs who are seeking guidance to move through big revolutionary changes in their life and business, causing them to shift their brand. It’s one thing to know yourself, it’s another to BE yourself. That’s when transformation happens… when you can BE real. Let's fast-track you through a rebrand of you + your biz to develop a custom Business Strategy as we work with Mindset (psychology + neuroscience) + Brand Consulting. A quadruple threat to make you rock solid in your biz expansion! It’s time to take your brand to a New Level! It will be like a mini-rebrand. Let me help you gain some leverage with this Limited Time Special! * Copy + photos must be provided prior to estimated start date. 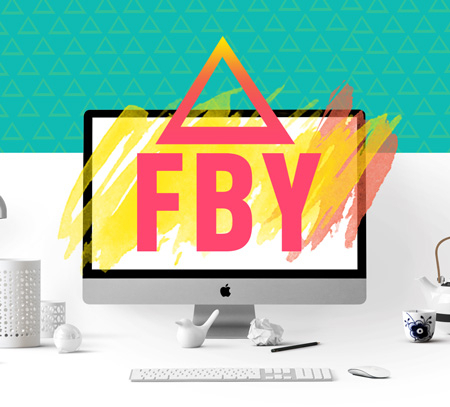 A Free Discovery + Clarity Session with Jacqueline at Brand On Fire. This session isn't about me. It's ALL about you and getting clear on how YOU want to show up in the world! I'll be sharing specific details of how I can support you to grow your business + achieve those goals you've being aspiring to, and which products + services would support you the best at this time. I've developed programs + full branding packages, and products for the ambitious, soulful entrepreneur who's ready to make their calling stronger than their fears. This is for entrepreneurs who are overwhelmed with your daily to-do list. You've realized your primary focus is to stay in your zone of genius, instead of continually being pulled away to deal with so much of the implementation of all your money-making ideas. This is a monthly maintenance program to give peace-of-mind knowing your website is secure, up-to-date and you’re gaining traction with your brand consistency, visibility and much of the dreaded tech support required to run a successful business. This is a monthly maintenance program to give peace-of-mind knowing your website is secure, up-to-date + you’re gaining traction with your brand consistency, visibility + much of the dreaded tech support required to run a successful business. * Note: Payment is made when setting initial appointment in order to receive payment process options. ie. deposit etc. Get the support + mentorship you need to Get Clear, Be Visible, Gain Authority, + Make the Money YOU Deserve. A 3 step, 4 session formula + strategy to launch an unstoppable, fearless brand that will connect you more deeply with your genius and the overall relationship you have with your business and clients - and, you'll get seen and make you money! Let's get you clear + confident with where you're going + get more money flowing into your business + bank account. Be prepared to walk away filled to the brim with inspiration and specific action steps to finish 2016 STRONG and reach your primary goals! A 3 step, 12 session formula + strategy to launch an unstoppable, fearless brand that will connect you more deeply with your genius and the overall relationship you have with your business and clients - and, you'll get seen and make you money! Get the support, mentorship + the strategy you need to Get Clear on your next steps, Be Visible, Gain Authority, + Make the Money YOU Deserve. Get the strategy, support + mentorship you need to get CLEAR on your next steps to design + launch your new offering! - Identify the implementation locations, and..
- Create a Marketing strategy! Not only will you have saved hours + days of planning, you’ll be on your way to making sustainable biz growth. Walking the path toward your purpose can be isolating + challenging. Get the support, guidance + mentorship you need to gain clarity on your next steps to create a life that's in full alignment with your purpose. In 90mins, you + I will not only have a greater connection to who you are, but you'll also have far greater confidence + some serious action steps that may challenge you and stretch you out of your comfort zone - but ultimately will create significant traction in your life and business! Get the strategy, support + mentorship you need on your next steps to design + launch your offer or your new level! ** BE YOU Sessions ('cuz hiding is for turtles)** Limited Time Offer :: 3-90-min Sessions for the price of 2! You may have spent a decade or more focused on personal + spiritual development - and that’s great - but if we don’t live our life how we want to live it, then we won’t be happy. These sessions are all about understanding your behaviours + mindset around what's keeping you stuck - and revealing with clarity what you really want at this point in your business + life. They're a blend of Business Strategy, Mindset Coaching + Brand Consulting. A triple threat to make you rock solid in your biz growth of becoming a Brand New, Powerful Aligned You! Our guts, gumption + creative ideas alone won't bring success. How can we guarantee our own success if we don't have clarity to move forward in our life and business? We get support to lay the energetic groundwork. We clear the past, gain clarity, + feel good with our inner and outer purpose, brainstorm, create a plan + implement a strategy - that's how! Having creative + strategically minded guidance + support to create a foundation + roadmap to create a New You in this New Year is a critical first step to make massive shifts for creating a life + business you love! I’m your guide, mentor, “how to” consultant, mindset calibrator, brand specialist, cheerleader, arse-kicker, accountability partner, PR consultant, uplifter + friend who will remind you daily of your limitless capacity + ability to receive all you desire! >> Understanding the mindset behind money or expansion resistance from past fears + disappointments, and take you out of stagnancy, make strides + create momentum! >> Create strategies: Visibility Funnel TM, sales funnel + brand strategy that feels good to YOU! Expect the results of our session together to give you new found clarity, confidence + some serious action steps that may challenge you and stretch you out of your comfort zone - but ultimately will create significant traction in your business! Remember - it's impossible to grow when we stay the same and don't change our actions. ->> Only $777 - 3-90-min Sessions for the price of 2 - For a Limited Time Offer! * Note: All purchases are under protected under the Terms + Conditions guidelines. This is a 3 session formula + strategy to launch an unstoppable, fearless brand that will connect you more deeply with your genius and the overall relationship you have with your business and clients - and, you'll get seen and make you money! This done-for-you brand development package is the perfect startup solution for entrepreneurs who are ready to go pro + get profitable and who are on a budget. When you work with me, you'll get the expertise and support you need take the overwhelm out of the experience. Don't get me wrong, this is a co-creation - but you will be guided every step of the way through your website production. And with a speedy turnaround time of 3-4 weeks, you'll have your brand + website launched and ready to take action in your business! Make sure to click "Schedule" to book your first Brand Clarity + Website Strategy Session with me to get you started now! I can't wait to dive into building your beautiful brand together! Choose 1-2 of 3 Steps with this 4 session formula + strategy to launch an unstoppable, fearless brand that will connect you more deeply with your genius and the overall relationship you have with your business and clients - and, you'll get seen and make you money! Guts, gumption + creative ideas alone won't bring success - but getting the support you need to plan + implement, will! Let me help you fast-track your brilliant ideas, free you from tech-hell and get you back into your zone of genius -- making money + focusing on creating an unforgettable impact on your clients + customers! I’m your guide, mentor, “how to” consultant, brand specialist, cheerleader, arse-kicker, accountability partner, PR consultant, uplifter + friend who will help you gain the traction you need to access your limitless capacity + ability to receive all you desire! My monthly maintenance program will give you peace-of-mind knowing your website is secure, up-to-date as you grow your brand consistency, visibility and much of the dreaded tech support for your website. I’ve designed it to maximize the cost efficiency. Included with this monthly subscription is an initial 30 minute Bonus brand + business clarity session to determine where exactly my support can be best utilized over the next 1-2+ months. Even if you have full vision of what that is, I still encourage an initial meeting to review all that's required for us to begin working together to give us both full visibility and expectations. Feel free to reach out to me at jacqueline@jcr-studios.com if you have any questions. Let me guess - you're probably a creative thought leader like me, right? You know, someone who has an abundance of ideas but you don't have the time to follow through or have the skill set or to deliver. This is why your creative ideas alone won't bring you success. I've always said, "Business" isn't a noun - it's a verb. It's not a static entity that has fixed qualities. It's made up of an on-going dynamic dance of ideas, processes and bold action-taking (mojo) that generates momentum + magic that moves us toward a specific desired outcome (aka. goals). Our business is in constant flow of ideas from >> Idea Curation to Marketing Strategy to Production to Launch. Just think about how frequently we do this in a 1 year lifespan of our business! How do you think it would impact your biz if you had support to create a foundation + roadmap for every great idea you know damn well is viable that would generate leads, money + growth for you, but haven't executed yet? Being a brand strategist, coach & consultant, I want nothing more than to see you thrive in your business. And that means helping you create offerings that light you up, make massive impact in the world, monetize + launch them - to generate the income you deserve! I just privately launched a limited time offer called, Magic Mojo & Money Sessions - only to you and my subscribers. This is going to save you so much time, money, sweat/stress/tears, and get your idea packaged + launched faster than you ever could've imagined! It's only on for a limited time and it's priced to leave no excuses on the table! Let's make some magic, mojo, + money! For the past 6 years I’ve been coaching entrepreneurs on how to keep up with staying true to who they are + who they’re becoming + how to be in alignment with their brand + biz goals. Because guess what? We personally change + grow + evolve just like our business. We’re the pioneers + creators of our business + personal brand so it’s a natural progression that we occasionally find ourselves at a crossroads, feeling called to pivot in another direction - either in a small or in a BIG way. Like all transitions, they can feel isolating, confusing + daunting - particularly if there’s any amount of internal doubt. And the longer we grapple with this results in some form of self-sabotage which can easily block our business success. Whether it’s through a coach like myself or a like-minded business peer — if we don’t take the time to process thru this, it can manifest into many problems… from no longer attracting your soul clients… to lacking clarity + confidence… to impacting your sales. And who wants to sit in fear, scarcity + limbo? You got into this business to thrive + shift + expand as quickly as possible. Am I right? If you’re in this reinvention mode, we need to talk! If you feel out of alignment with your business - it’s ok, you’re not a freak of nature - we all do at some point! and it is… but a minor to a major re-brand is in order for you to get into alignment with your business so that YOU + your SOUL CLIENTS can feel congruent with your business. But it does need to be addressed before it overwhelms + effects you + your business! Doing this work will save you weeks, months, possibly years of feeling stuck, you’ll be on your way to making sustainable biz growth. Get the business strategy, support + mentorship you need to get clear on your next steps to redesign + launch your new rebrand with my new break-free sessions: The Art of Rebranding + Reinvention! • Determine what makes you stand out (your unique selling proposition) with the look + feel, the words, the colors, the photos - oh my! And… during these sessions the inspiration is off the charts! Bonus: When there’s time, there’s SO much high flying energy that we sometimes end up creating quick monetizable offerings that can be implemented in a flash so you can hit the ground running! These are one of my most coveted sessions with my clients - and it’s the first time I’ve brought these sessions + system to the public. I can’t wait for us to get started together - and for you to move through this transitional period with as much ease + joy + inspiration as possible! What would be different for you if you knew what you were called to do and give with your life right now—and had the confidence to go do it? Helping people to connect to who they really are, is my strength. 1. You wake up excited about life and ready to start your day. 2. You’re able to tap into your intuition more easily. 3. You make decisions quickly. 4. You connect with others easily. 7. You feel alive and KNOW yourself. 8. You feel like you’re on fire. 9. You have a strong sense of calm. I can't wait to support you on your path to clarifying your inner AND outer purpose in the world! Fearlessly Branding YOU Program: 12 Week Brand Development Mentorship: High-level sessions to build + magnetize your brand authority! A 12 (or 6) session formula, strategy + coaching to launch an unstoppable, fearless brand that will connect you more deeply with your genius and the overall relationship you have with your business and clients - and, you'll get seen and make you money! 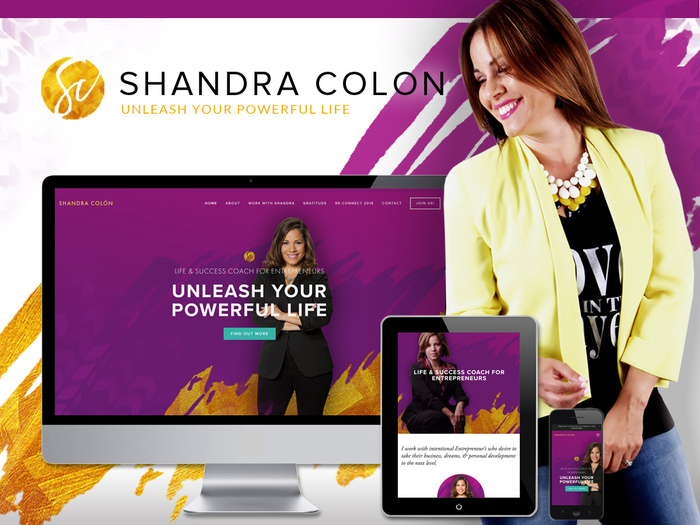 Custom website design for the inspired, soulful entrepreneur + emerging leaders. … then this VIP experience was created for you. VIP means together we will "Visually Ignite your Presence" online to get your brand positioned and seen as an authority. 1 high-level Website Strategy Session to plan your website development + 1 Brand Strategy Session to leverage your marketing + visibility efforts to get you results. This is a guided process that will result in a professional Branding Platform which will give you clarity of your: Niche, tagline, core values, mission statement + brand promise. You will receive a custom style guide with color palette, typography palette and some keywords of influence that are specific to your brand. A custom banner design or template is included for up to 2 social media communities, plus a gorgeous banner for your email optin autoresponders and your email newsletter. Essential WordPress Plugins: Social media, contact form, spam security + site backup, opt-in form builder, coming soon/maintenance plugin – all included. Web Tutorial Video: Once your website is complete, I’ll give you access to a comprehensive web tutorial where I infuse you with confidence by teaching you the “minimal tech version” in’s + out’s of how to use and maintain your custom site. Coming Soon Page: A single branded squeeze page with image + an opt-in to start building your list while your site is in development! For more information on this package, and to check out all that's included with this package, head over to yourbrandonfire.com/website-design. Once you purchase, you'll be prompted to book your first Brand Strategy Session. Let me guess... you're thinking they don’t call it "busy-ness" for nothing. You’re at the point that you don’t have time to learn how to do great looking graphics, web design, branding… puleeease. You want out of the DIY hell - at least while you get all the holiday shenanigans out of the way. You want a sales or website page that looks fantastic but doesn’t break the bank, or have to sell off your first born. You’ve been juggling HOW to work with your budget AND attract your high-vibe clients + customers. -> so done with lacking the clarity + confidence with how your business is connecting to your audience. -> tired of digital duct taping your graphics from a million places like Fiverr, Canva and Upwork,… only for your visual brand to appear to have multiple personalities instead of a cohesive one. -> through with trying to learn brand strategy, marketing, graphic + web design and you know you’re losing time + losing money (with DIY’ing) hand over fist when you’re focused outside your genius. -> aware that your graphics + confusion around your brand is hurting your business. It’s time to take your brand to a New Level. Let me help you gain some footing to get you on the right track with these Limited Time Specials! This is a guided process that will result in a pro Brand Platform which will give you clarity of your: Niche, tagline, core values, mission statement + brand promise. You’ll get a custom style guide (PDF) with color palette, typography palette and some *Keywords of Influence* that are specific to your brand. This guideline that details your new brand elements will be helpful to you as you grow to share with team members and future collaborators. Together we’ll create a custom designed page that will not only look gorgeous, but it’ll be a strategic selling machine. * Limited availability. These are NOT going to last. If you have questions, email me at: jacqueline@jcr-studios.com. It’s time to take your brand to a New Level, into the New Year. Let me help you gain some footing to get you on the right track with these *on-point* visuals. This is a guided process that will result in a pro Brand Platform which will give you clarity + support with your: Niche, tagline, core values, mission statement + brand promise. 3) 5 Custom Branded Images: 5 images, your choice. For example: a website banner, social media banners, any website page images, sales page banners, or lead magnet cover design for PDF. * Photos + copy must be provided prior to estimated start date of development + production. * Photos/imagery not included – however support will be given to decide on an image in our first session, if needed. * A maximum of one edit for each banner mockup. Additional cost for additional edits. * For quick turnaround. Development production timeline is 2 weeks (depending on schedules). * Unlimited email + Voxer support will be given during production. * Design production start + end date is dependent on each of our schedules. * See my Terms of Service at yourbrandonfire.com.